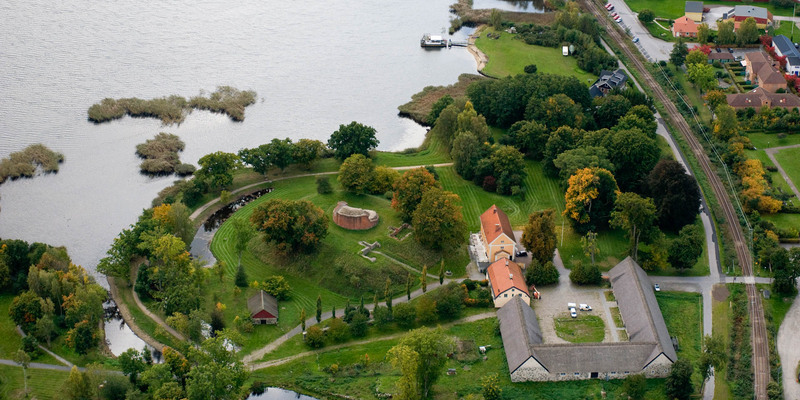 Sölvesborgs Slott, an 19th century estate, is located near the coast in sight of the Sölvesborgs Slottruin, northeast of the city center of Sölvesborg. 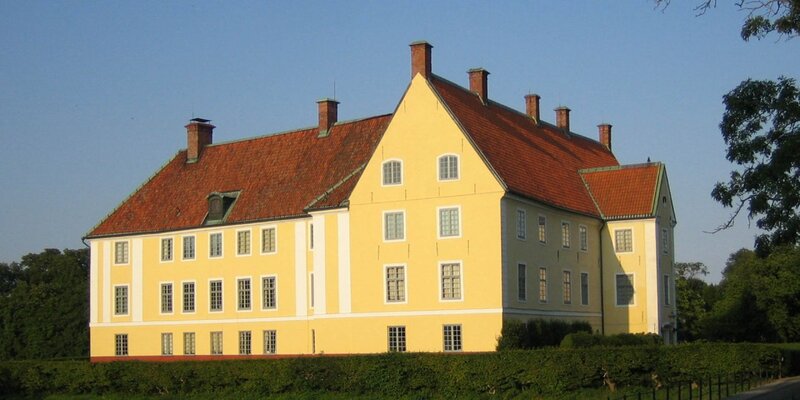 The estate was built in 1802 as a typical southern Swedish courtyard. The three thatched wings of the former farm buildings form a "U", the yellow-painted mansion (Corps de Logi) stands alone. The walls of the ground floor stands on a massive fieldstone base and consists of 30-centimeters thick masonry with bricks from the neighboring ruins. The farm buildings and the manager's house were built 1833-35 and the mansion was rebuilt and expanded between 1840 and 1843. The current upper floor and attic were attached to the one-storey building as a truss structure. 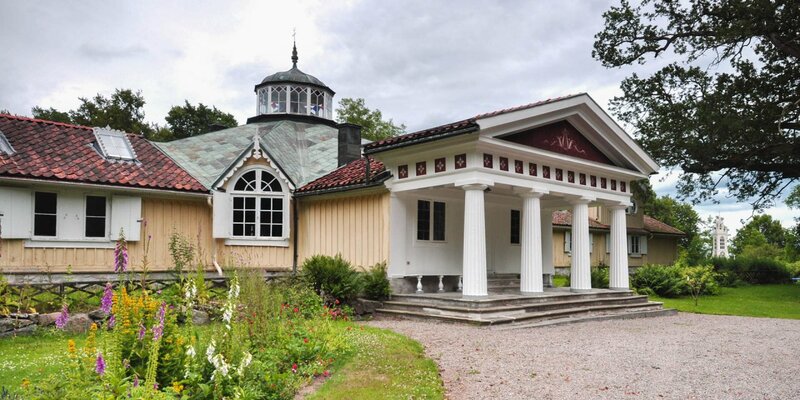 The exterior facades were then completely plastered and decorated with neoclassical columns. The mansion received the current entrance portal and Neo-Baroque-Style windows during a restoration in 1915. Despite frequent additions and modifications, the present building corresponds still to the original. 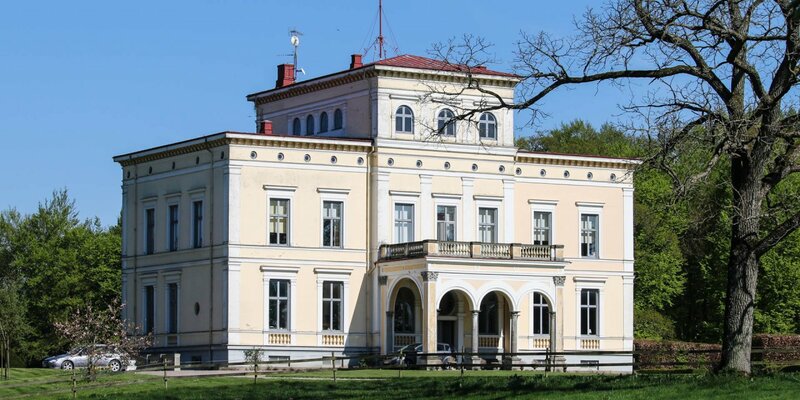 The entire estate is a listed building since 1997 and the mansion now serves a local catering company as a sophisticated location for private events.